OAKLAND, Calif. -- Mookie Betts, Jackie Bradley Jr. and Ian Kinsler have won Gold Gloves for the World Series champion Boston Red Sox. Oakland and Colorado each had two Gold Glove winners in the infield. 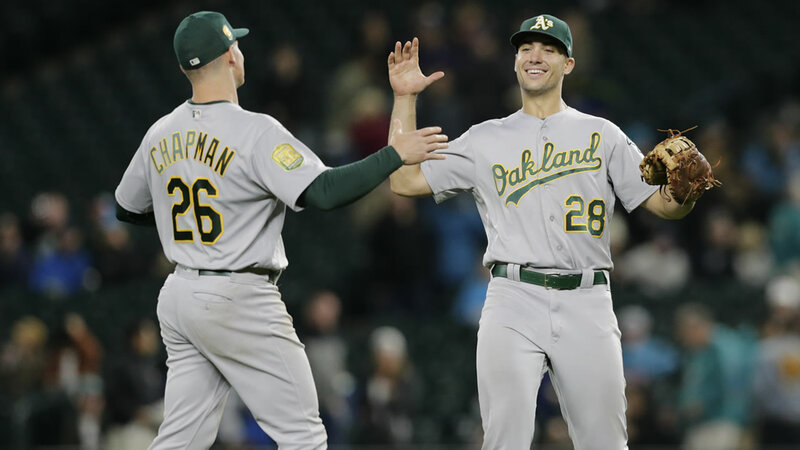 First baseman Matt Olson and third baseman Matt Chapman were recognized for the Athletics, and second baseman D.J. LeMahieu and third baseman Nolan Arenado won for the Rockies. Get the latest stories and videos about the Athletics here. Via conference call, #Athletics Matt Olson tells media "It's nice to get that recognition" in regard to his first Gold Glove. He's always felt he had the potential to be a GG first baseman. #Athletics Matt Chapman is a GOLD GLOVE winner for the first time in his career. The best defensive third baseman in the AL.